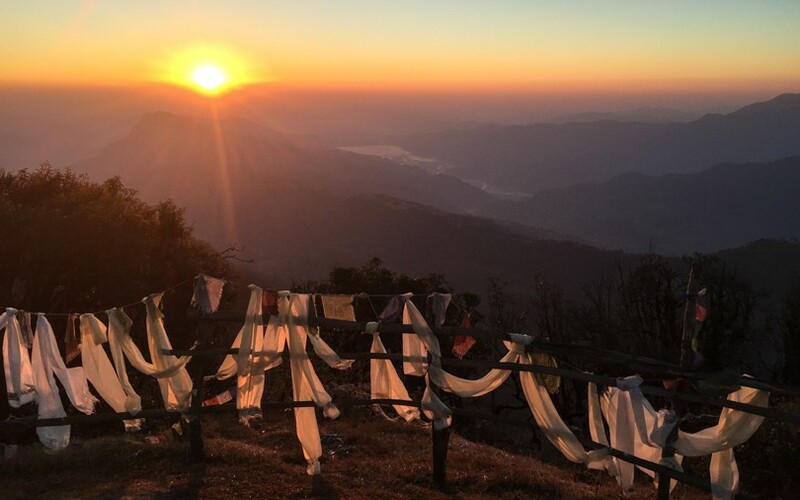 Post written December 28: After a relaxing and uneventful day in Kathmandu, I awoke early to catch my 9:30 am flight to Nepal’s second largest city, Pokhara (820 metres). Located 200 km west of Kathmandu, it’s a touristy place near the Annapurna mountain range, and often acts as a base for those venturing out to complete the Annapurna Circuit or other treks in the area. The flight was a quick 20 minutes, and before I knew it, I was walking along Phewa Lake and breathing in cleaner air. Ramesh suggested we head to Australian Camp for the evening. Australian Camp? Sounds good to me. I packed an overnight bag and then we drove up the windy mountain streets west of Pokhara to Kande (1770 metres). A short hour hike later, we were in the mountains at the small Australian Camp. There are only a few guest houses up there, as well as space for those who want to camp. 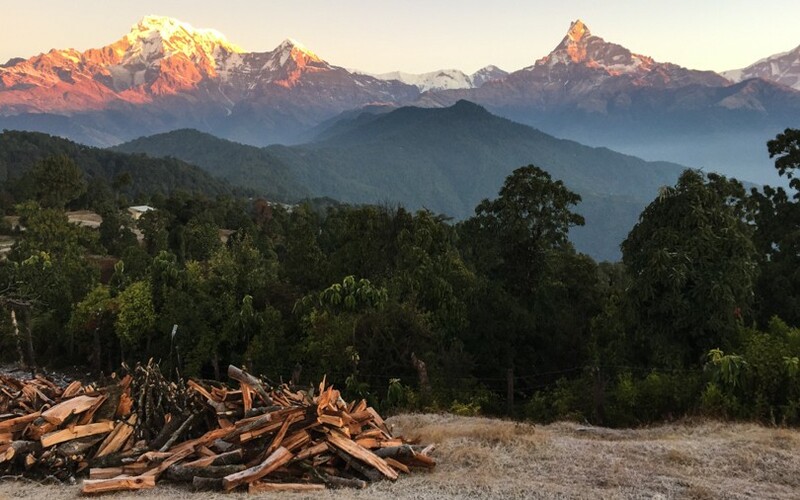 But for all visitors, the sunset and sunrise views of the Annapurna mountains can’t be beat. Unfortunately, clouds had rolled in that evening resulting in no view, so I went to bed hoping that we would all awake to clear skies. And that we did. 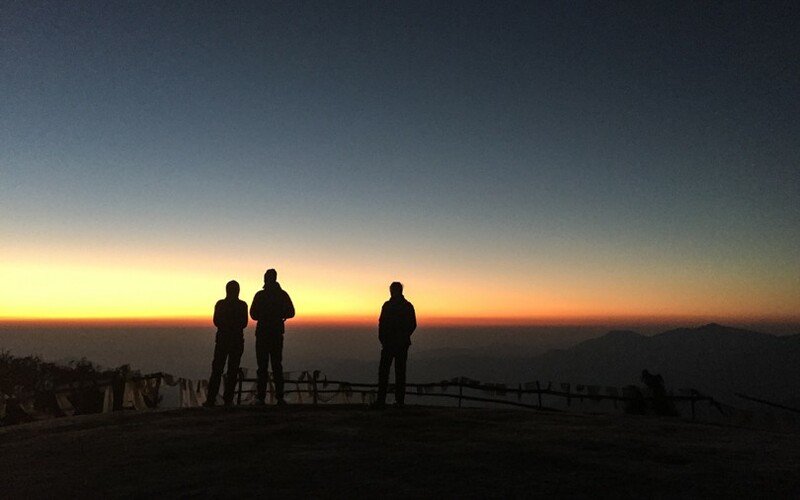 At 6 am, I got dressed and headed out to the view point where many other guests had gathered. The sun was slowly rising, casting limited light on the mountains, but enough to see their majesty. Annapurna I (8091 metres), II (7937 metres) and IV (7525 metres) were all in view. At the centre of the Himalayan range before me, Machhapuchhre at 6997 metres. Also known as the “Fish Tail” in English, it’s a holy mountain sacred to the god Shiva and off limits to climbing. Once the sun broke, the snow-capped mountains became a gorgeous shade of orange. It was beautiful. Looking at a map, you’d never know Australian Camp is a place to go. I was reading that views of the Annapurna Himalayan Range can be seen from Sarangkot near the city, but I’m really glad that Ramesh suggested Australian Camp with its unobstructed mountain panorama. After a quick breakfast, we hiked a few hours through the green hills and trees to Dhampus before descending to the main road to catch a car back to Pokhara. But the busy day didn’t end there! 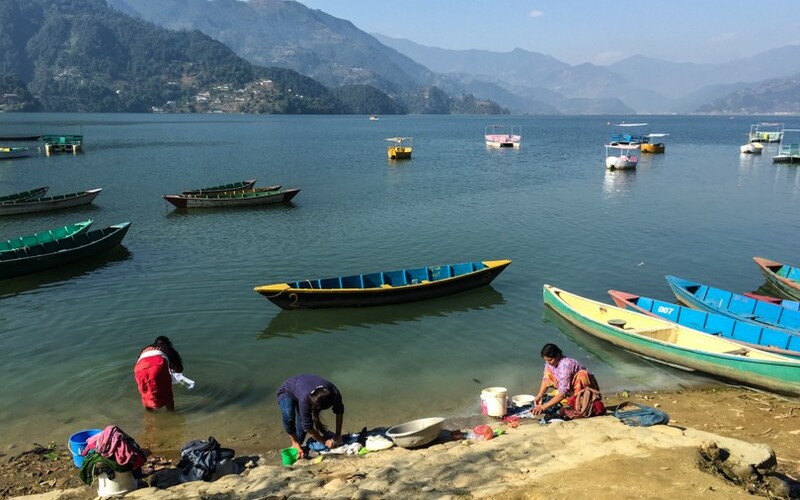 Lunch at a lake-view restaurant, a visit to the International Mountain Museum, exploring Gupteshwor Mahadev Cave, and seeing Devi’s Fall (waterfall) before walking the streets of the Pokhara Street Festival all rounded out the evening. Tomorrow I have a low key day in Pokhara. My plan? Find a coffee shop. Read. Visit vendors. Explore the New Year’s street festival some more. And relax. After the craziness of the last week, a little R’n’R is what I need :).